← It’s going to be cosy…reserved list fully booked! Romance has well and truly died. And what a beautiful thing it was. Thanks to everyone who came to our Romance is Dead Anti-Valentine’s special. What a fantastic night it was. The suitably killer soundtrack was created by the genius Lux DeLuxe (who also lovingly hand baked and iced the alternative love hearts for us all to eat to our heart’s content. What a multi-talented woman). Due to popular demand, we’ll be sharing her playlists online soon. Snapping away to document all of the fantastic artwork created was Mark George. Lots more photos from the night can be viewed HERE. Sorry to those we couldn’t squeeze in this evening- you’ll have to be quicker next time! Be sure to reserve your place next time by emailing us at deathdrawing at gmail.com and don’t forget you can find us on Facebook too. 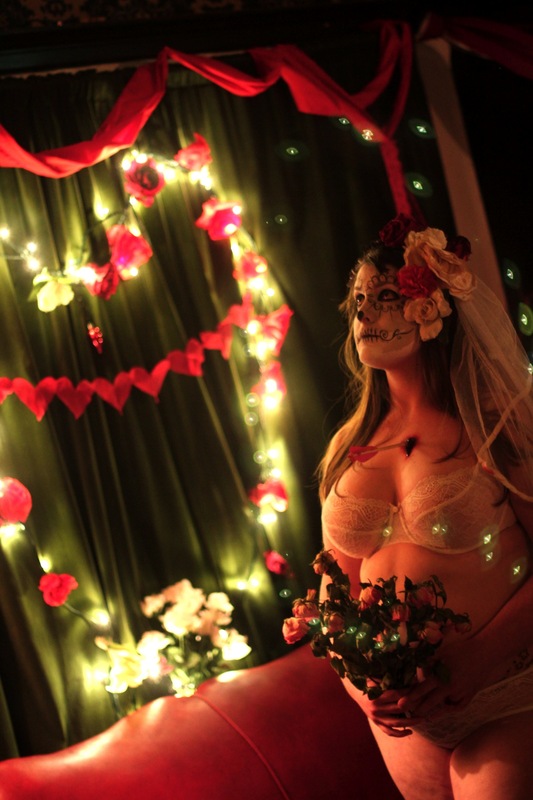 Lots of Anti-Valentine’s love to you all and can’t wait for next month’s Dance of Death now!